The past two weekends were filled with two weddings. The first one was out of town which resulted in me pet sitting for part of that time. The second wedding was local. 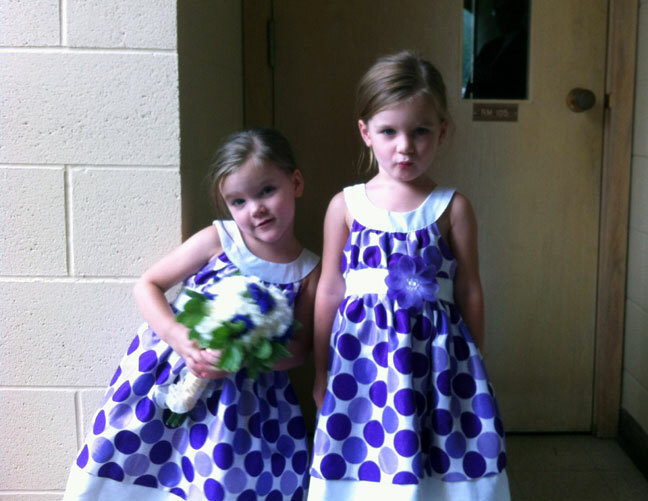 The twins were flower girls in the first wedding. The only still photos I have were taken with my phone. E is on the left and is trying to be cute and she’s successful. Z is on the right and is trying so hard not to smile. Not so successful. Here we are waiting to leave for the reception. I love my dress and wore it again this weekend. 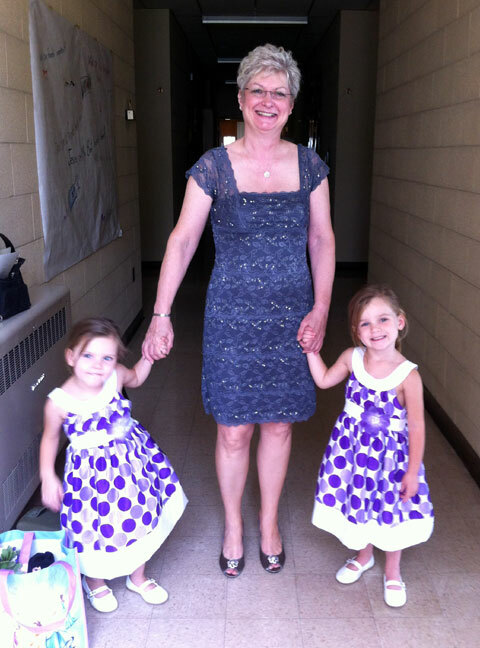 No one who attended the first wedding was gong to attend the second so I felt safe to repeat the same outfit. This weekend’s wedding has no pictures to go with it. As I said it was local so Mr. Aitch and I didn’t have to juggle too many things to attend. I really need a few days to myself to catch up on everything I’ve kind of let go. This has been a busy summer and I only have two weeks of “summer hours” left. I enjoy having an extra day off during the week but the 10-hour work days are really taking their toll. Later this week I will have an update on the Sheep Carousel. Everyone looks beautiful. Glad to see picures of the twins.